I hope you’ve had a productive March. It’s a bit bewildering that 2017 is almost a quarter of the way over already, isn’t it? Time has a way of flying when you’re head down, being productive and doing meaningful work. Let’s all keep doing that, then look up again in late June and take stock of all we’ve gotten done. Okay, on to a few feature updates, then the first edition of Rainmaker Conversations, and finally a look toward the future. This has been an oft-requested feature. We’re happy to oblige. 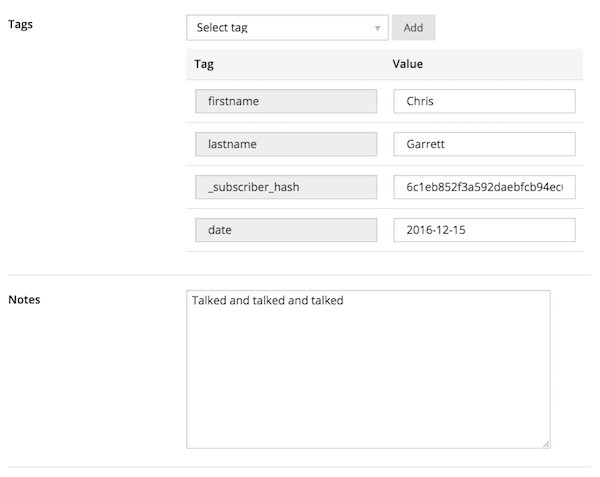 Now you will be able to manually edit tags for your RainMail subscribers (instead of them only being set automatically). You will also be able to add notes about subscribers, so you can accurately track notable touchpoints with that particular subscriber. This is the first step in giving you more useful insights about your subscribers. Say you have a course customer who cancels six weeks after signing up. They will be removed from your customer list. But what if, as part of their customer account, they were subscribed to the course drip? You need them to be removed from that autoresponder as well. With this feature, you’ll be able to quickly adjust your RainMail settings to do it automatically. Currently, if you use [ lms_list ] or the LMS navigation widget to display the modules and lessons of your course(s), only logged-in members can see the list and module titles. But there are several reasons why you might want non-members to be able to see the course outline, and to not have to send them on an alternate path within your site to do so. With this feature update, non-members will be able to see the module and lesson titles without any extra effort from you. There are a number of attributes for the quiz display shortcode that you can already use to customize how your quiz appears. Show the title of the quiz that you entered when you created the quiz. Change the default Next button text from Next Question to a custom text of your choosing. Change the default Finish button text from Finish Quiz to a custom text of your choosing. Note: Soon, you will be able to set these attributes easily using the shortcode feature in the Visual Page Builder — yet another reason to take it out for a spin if you haven’t yet. This will be coming in the next release, or the next one to follow. We have a lot of ideas for how we can shine an enthusiastic light on the success stories of our customers — because there are many, many of them. I hear them often, and they always buoy me to work harder to do my part to create more of them. Today, I’m excited to announce one of the ways that we’re going to do this. It’s called Rainmaker Conversations (hat tip to the great Jett Williams for coining the name). The genesis of this new blog post series was quite organic. I saw a picture that Bob “The Green Guy” Farnham posted on Twitter that stopped me in my tracks as I scrolled through my feed. He was sitting outside, near a beach, at a table, laptop open, Rainmaker shirt on. And he just looked so … fulfilled. This led to a revealing email conversation, which became the first edition of Rainmaker Conversations. Check out the end of the post for instructions on how to get involved and be one of the Rainmaker users featured in this series. We will, of course, be continuing to make the Rainmaker Platform better. I mentioned in the last newsletter that our ability to address and fix bugs is now much faster and more efficient. We remain excited about the long-term benefits of this process improvement. 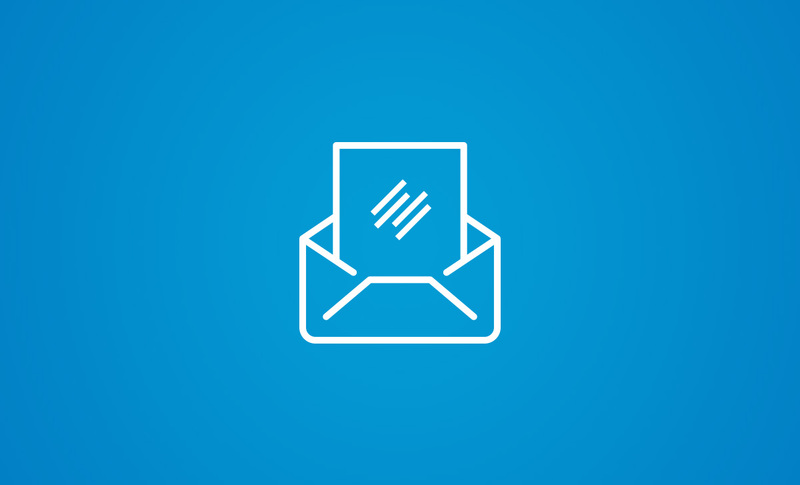 From a feature perspective, our immediate priorities revolve around adding important new elements to RainMail (like the two described above), and continuing to build out Rainmaker’s marketing automation capabilities. Be on the lookout for updates there moving forward. I’ll be sure to keep you updated as projected feature updates become actual feature updates. And I’ll continue to have my eyes and ears wide open during webinars, Q&As, forum discussions, and one-on-one discussions with customers like you, so that I can bring your perspectives back to the devs and designers who are hard at work making Rainmaker the most powerful platform for smart and successful digital commerce that it can be. Have a great end of the month. I’ll update you again when the next release rolls through.